With the recent release of the Queen and Freddie Mercury biopic at cinemas, I thought it would be good to look back at the songs by Queen that I consider their best. Now, Queen is one of my favourite bands. Along with Meat Loaf, Mike Oldfield, 'Weird Al' Yankovic, Ultravox and The Beatles, they are one of the bands I own every album they have released. I never got to see them live, as Freddie Mercury died when I was 20 and their previous concert tour to Australia happened a long time before I was old enough to go. However, I was one of those sad people who watched all of Live Aid and was stunned by Queen's performance. They took over that concert. The thing I think people tend to forget is that Queen was more than just Freddie Mercury. The three other members all were/are brilliant musicians and all four band members wrote songs that cracked the top 10. How many other bands can boast that sort of musicianship? John Deacon on bass, Brian May on guitar and Roger Taylor on drums are all under-rated. 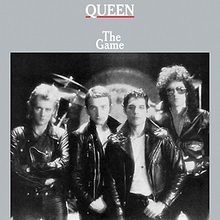 My favourite Queen album is either Works, The Game or Live Killers. The soundtrack they did for the 1980 film Flash Gordon is my favourite made for film rock soundtrack (as opposed to the compilation style soundtrack, as in The Big Chill). I also have a soft spot for the Innuendo album. So, to the list! This is in my personal order. The last in the list is my favourite Queen song, and I'll bet no-one will guess before I get there. Just a gentle little rocker that I find myself singing along to every time I hear it. I can see why it was never released as a single, but that's okay. 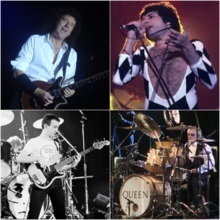 It features a synthesiser and both Brian and Freddie share vocals. I didn't hear it on any live album until recently when a live concert from Argentina fell into my hands. I prefer the studio version. A song that is hard to categorise. The lyrics are quite wonderful and almost surrealist, and they are most likely autobiographical. An the video clip is insane. I like the way this is structured and put together and the different one it sets. The thing that sets this rocker apart from other, similar songs that Queen have released is that break-down in the middle 8, (the bit that starts, "I'm a man with a one track mind…") that sets it aside and gives the lyrics a little more poignancy. While the original is a nice bit of rock that sits well in the era it was created, it is the live version that I just love. The double Live Killers album is pretty awesome, but this song stands out. It becomes a Roger Taylor drum show-off piece without being a Toad (by Cream) that just goes on and on forever. That is what makes it for me. The drum solo. Almost a throw-back song to a simpler time. Dominated by acoustic guitar and with vocals shared by May and Mercury, it is a pleasant song, with quite deep lyrics. It does not sound like a standard Queen song, and maybe that's another reason I like it so much – it stands out. One of the songs that has come to define Queen. The live versions with their over-blown guitar solos are great, the remixed version from the re-release of the album is quite cool, and I really like the version they did with Farnham, but the original is still the best. The driving drum-beat behind the lyrics into the solo at the end – it's a short song but it is deservedly a classic. A very personal song, clearly, on the album released after Mercury's death from tapes left behind. The emotion in his voice is evident; he is feeling this song. It is beautiful. And, I would like to point out, the solo version released by Brian May is an equal to the Queen version. Released by the three remaining members of Queen, with Roger Taylor and Brian May sharing vocal duties, this is a song that still brings a little lump to my throat. It is about Freddie, and these guys are feeling it. This song should have done better when it was released, but it didn't fit in with the music of the time. One of Queen's harder rock tracks, this is just all four members of the band going for broke. Powerful playing and raw singing make it an instant classic, and it's one they did well in their live shows, only I prefer the original studio version. It just sounds great. While these are two separate tracks, I always listen to them as one, and they are in the same scene in the film (when the hawk-men attack the spaceship) and I just love them. Vultan's Theme did get an honourable mention in my favourite rock instrumentals, but if I put the two of them together they could have been second or third on that list (I also disallowed it because of the dialogue inclusions). Doesn't matter – my favourite Queen track. So… what do you think? I know not many are going to agree with me, but that's okay. What are your favourite Queen songs and why? As usual, sound off below. I love getting comments! So many great ones to choose from. I was just lamenting to hubby last week that neither of us got to see Queen live - a big disappointment in my life (missing the concerts NOT my husband!). PS My Xmas motto is "I Want it all..."